Xiaomi sells a wide variety of devices and products in China and these newly launched products in India could mean that the company is testing the waters before making more of its products available. Xiaomi has launched four new products in India, most of which don't really fit into the technology domain. 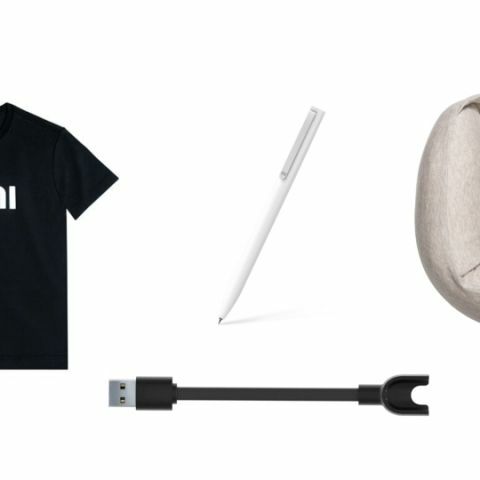 Starting today, you will be able to buy the Mi Rollerball Pen, I Love Mi T-Shirt, a Travel Pillow, and a Charge Cable for the Mi Band 2 and the Mi Band HRX from Mi.com. The company is slowly introducing more of its products from China, signifying its expansion in the consumer goods section in India. The Mi Rollerball Pen is priced at Rs 179, whereas the Mi Travel U-shaped Pillow will cost Rs 999. The T-Shirt and Charge Cable are available for Rs 399 and Rs 129 respectively. In its home country, Xiaomi sells a range of products that cater to the demands of their customers like the Mi Electric Scooter, MiJia Rice Cooker, Mijia Smart Shoes and it has been trying to get some of these devices to India as well. I have frequently noticed users asking the company to officially launch its other products in India on Xiaomi’s forums and other social media channels. Back in February, Xiaomi opened its first Mi Home Experience Store in Chennai. The idea was to showcase some of its products to users, which are currently available in China and garner their feedback for bringing these devices officially in India. This new store showcases products like water purifiers, portable air purifiers, laptops, rice cookers, robot vacuum cleaners and more. The company is also planning to open two more Mi Home Experience stores, one in Delhi and another in Mumbai.